Do You Have to Buy the Same iPhone App for Each of Your Devices? 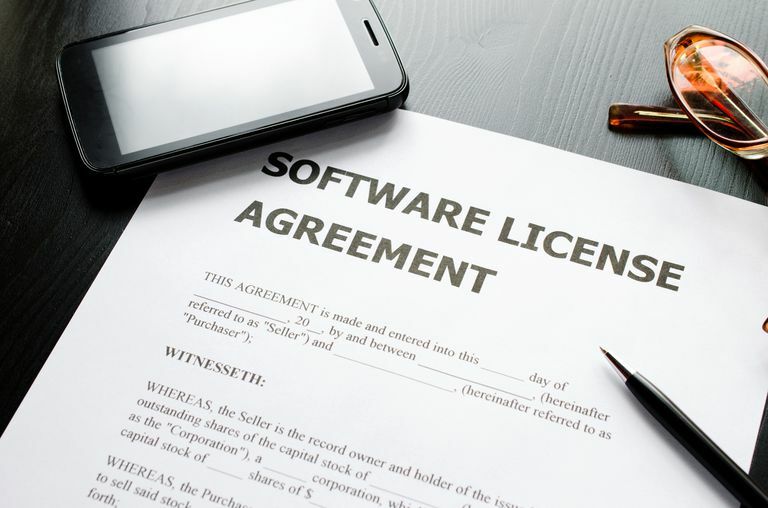 If you've used enough computing platforms — computers, game consoles, smartphones, or tablets — you've encountered the concept of software licensing, which is the legal and technological tool that allows you to use the software you buy on a given device. Sometimes software licenses can mean that you're required to buy the same software program more than once if you want to use it on more than one device. That can be expensive, especially if you have a lot of devices. It's common to own both an iPhone and an iPad, for example, so does that mean you need to buy an app for every device you want to use it on? Read on for the excellent news. When you buy an iOS app from the App Store, you can use it on as many devices as you want without having to pay a second time as long as the other devices also use the same Apple ID as you used to buy the app initially. This doesn't apply to free apps, of course. They're free: you can download them as many times as you want and use them everywhere. All devices using your apps must be logged in to the same Apple ID. When you buy an app, it's tied to the Apple ID used to buy it and looks for that on other devices to authorize their use. App developers can choose to require users to pay for later versions, usually major upgrades to the app. They generally do this by releasing a new version of the app under a slightly new name (an upgrade to "Cool App" might be "Cool App 2," for instance). A straightforward way to get your paid apps onto all your compatible devices is to use the automatic download settings built into iOS. With them turned on, when you purchase any device the app is automatically installed on all your compatible devices. Scroll to and choose iTunes & App Store. In the Automatic Download section, move the slider next to Apps to the on/green position. You can also enable automatic downloads for Music and Books and Audiobooks. Another way to make sure all your devices have the same apps is to redownload them from your iCloud account. Purchase an app once, and then, on a device that doesn't have that app installed and is logged in to the same Apple ID, go to the App Store app. Tap search and enter the app's name in the search field. When it shows up in the search results, download it. You won't be charged again. Apple's Family Sharing feature takes the ability to share apps across devices one step further. Instead of just sharing apps on your own devices, you can share apps on all devices used by your family members — assuming Family Sharing links them. This is a great way to share all paid content: not just apps, but also music, movies, books, and more. Apple's buy-once-use-anywhere approach to iOS app licensing was unusual when the App Store debuted. In those days, it was common to have to buy a copy of a program for every computer you wanted to use it on. That's changing. These days, many software packages come with licenses for multiple devices for a single price. For example, Microsoft Office 365 Home edition includes support for five users, each running the software on multiple devices, for the one purchase price. This isn't universally true. High-end programs still often need to be licensed on a one-off basis, but more and more, no matter what platform you use, you'll find apps that only need to be bought once. Do I Have to Pay Twice for the Same App on Two iPhones? Do You Have a Disaster Recovery Plan (DRP)?